What are the best baby gifts to get a new mom?? If you are out to find that perfect gift...or at least one your friend will love, this section will help. We've taken the top products that are constantly getting rave reviews and ratings from moms that love them. This list is full of gotta have it products to make mom's life easier over the first few years. One of the most uncomfortable situations for a new mom can be sitting in a public place when the baby needs to be nursed. A wiggly child and an uncovered midriff can be especially daunting. A good nursing cover can give a new mom confidence and modesty to be in public with those she loves. A great nursing cover to try is the Chocolate Nursing Cover by Bebe Au Lait. This brand is rated very highly and has great styles and designs. 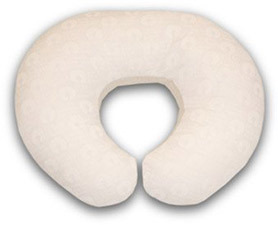 One of the best gifts for a nursing mom is a nursing pillow. A good pillow will lessen back strain and make the whole experience better for both mom and baby. I loved the Boppy pillow with my babies because it also worked great as a tummy time pillow for play time. Boppy's new version is the miracle expandable version, which stretches even further to comfortably fit moms of different sizes. You will need a cover for the Boppy pillow, but the covers come in so handy when it is time to clean them. We found it at Amazon . A baby carrier is a must for a busy mom who needs her hands free without neglecting her precious child. Whether it is shopping, tending kids, or spending time with family and friends, a carrier helps keep the baby close and secure. One of the more popular carrier types are the baby slings. They hold the infant in several different positions that mimic the womb. Most babies love the close feeling of security while the moms love their hands free. The Hotslings baby sling scores high for comfort and style. Click here to see all the colors and styles available. Soft and soothing music is a great gift for a new mom. It helps her as she soothes and connects with her new baby. We love the collection of rock a baby lullabies. They take famous rock songs and transform them into soothing lullabies for everyone to enjoy. This is truly a unique baby shower gift for that cool mommy friend. We found it at Land Of Nod. I would not have been able to make it through the first couple months without a baby monitor! One of the best baby gifts a new mom can have is the peace of mind that the little one is okay during nap time. They are great at letting you know what is happening when the baby is napping so you can get some things done. One of the highest rated monitors is the Sony Baby Call. In comparison to most nursery monitors on the market, this monitor is super clear. There is little to no static or "white" noise in the background. One of its best features is its voice activated function. This function is super quiet and turns on the speaker as soon as the baby starts making noise. A big plus at night time for light sleepers who can't stand the noise monitors make. It also comes with wall adapters and rechargeable batteries for the receiver. These books make it on our list because they give valuable information and insight on understanding baby's needs. These are must reads for a new mom. 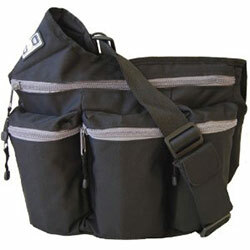 The Diaper Dude Diaper Bag is one of the best gifts for the dad to be on your list. This bag was made specifically for guys (although moms like them too) :). No flowers or frills, it is stylish yet manly with lots of compartments and pockets to keep up with his daddy duties. This bag gets rave reviews from both moms and dads alike. A bouncer is great to use for the infant stages, when they are not able to fully sit up on their own yet. It supports the baby in a comfortable upright position so they can see everything around them while giving mom free hands to get some things done. Most come with vibrations and a toy bar to entertain baby. 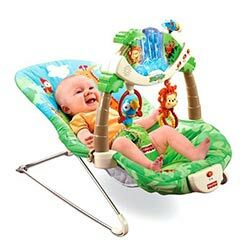 We love the Fisher Price Rain Forest Bouncer. 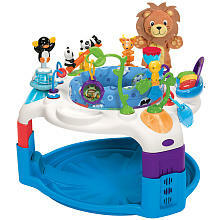 It has lots of cute animals and sounds for baby to play with. A breast pump is a must for a new mom! It not only eases pressure from an overabundance of milk...it also helps in situations of work schedules, hospital confinement, going out in public, and helping baby learn to nurse. 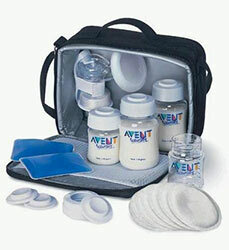 One of the best manual hand pumps on the market is the Avent Isis on the go kit. I used with my kids and it is quiet, quick, and most importantly works anywhere...a big plus over the electric pumps. Click here to see everything included with the kit. An activity center is a great sanity saver for a new mom. It is made for babies aged 4 months and older, which is right before they are able to sit up on their own but still want to see everything around them. The height adjustment grows with them and the seat keeps them safely contained as they play with the toys. The Baby Einstein Entertainer is one of the most popular activity centers because it engages baby's sensory and motor skills with pictures, sounds.... and teaches colors in English, Spanish and French. What's not to love about that?! 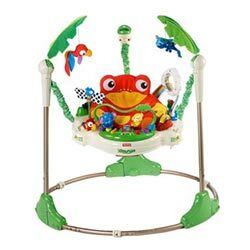 Fisher Price Rain Forest Jumperoo gets rave reviews with both parents and day care facilities as great jumper to own. I have this exact jumperoo for my baby, and he loves it.